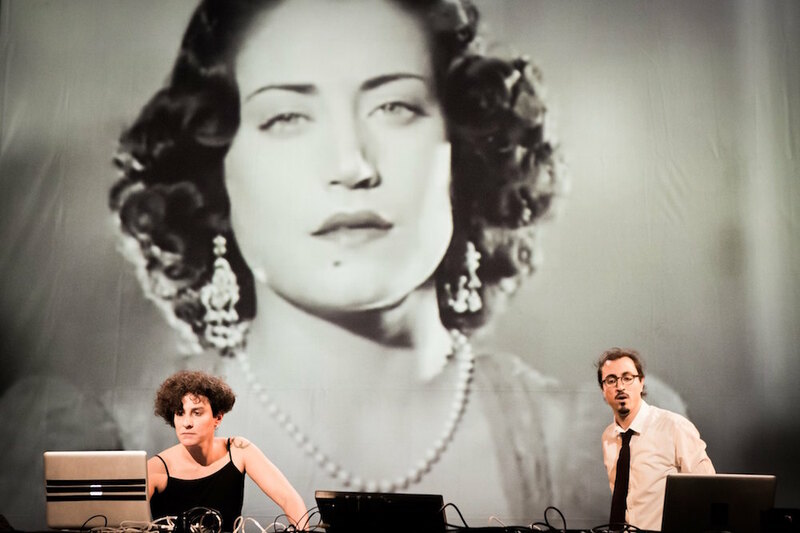 Love and Revenge / Gharam Wa Intiqam is a live music and video show by Randa Mirza (La mirza) and Wael Kodeih (Rayess Bek) that revisits music and cinema archive from the Arab world, featuring singers and film stars from Arab pop songs and Egyptian films. The show is coming to Louvre Abu Dhabi, for two nights on Wednesday, 2nd and Thursday, 3rd May. The performance will take place at the Auditorium Plaza at 8pm on both days. The price of the ticket ranges between AED 114 and AED 142 which can be bought online or at the museum. Lebanese hip-hopper Rayess Bek and visual artist La Mirza offer their own electro-modern take on the golden age of Egyptian cinema and eternal hits of Middle Eastern popular music. Bek mixes popular Arabic songs, while Mirza puts into movement extracts from movies. For these two Lebanese who grew up in France, their performance is a cross-border dialogue of two cultures.